Did the student share a good/funny story? Did the student make progress? Did you or the student connect with a particular book you were reading? * 3. Rate your VIP experience? Poor - I am not enjoying the experience and/or the time commitment is too much. Good - The VIP experience is the right volunteer opportunity for me. Terrific - I am greatly enjoying VIP reading and the connections with the students and staff! Poor - I am not enjoying the experience and/or the time commitment is too much. Good - The VIP experience is the right volunteer opportunity for me. 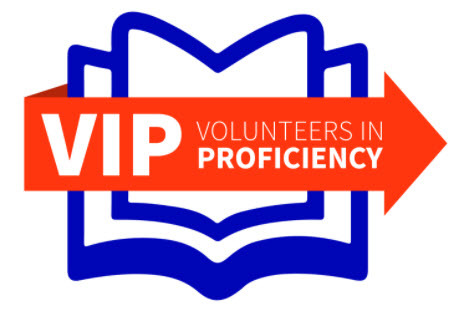 Terrific - I am greatly enjoying VIP reading and the connections with the students and staff!